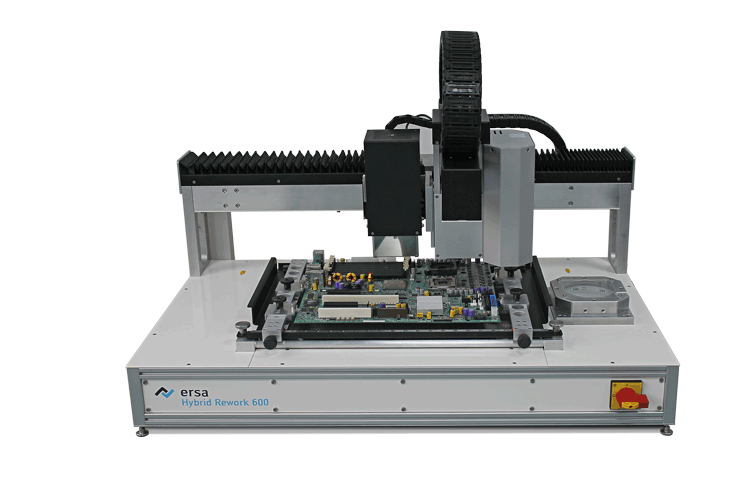 Plymouth, WI — April 2015 — Kurtz Ersa North America, a leading supplier of electronics production equipment, was pleased to discuss the complete Ersa product line, including the new Smartflow 2020 selective soldering system and HR600 hybrid rework system. The HR 600 is an automated rework system featuring fully automatic component placement, thus eliminating the risk of human error during the alignment and placement process. The system is equipped with a highly dynamic and efficient heating technology with the bottom-side heating (2,400 W) divided into three independent heating zones. The newly developed hybrid top-side emitter provides 800 W of heating power and combines the advantages of infrared heating with those of a convection heater. In order to thermally control the rework process, the HR 600 uses proven closed-loop technology. The component temperature is measured and can be controlled exactly. The HR 600, non-contact temperature measurement is even more precise due to a digital infrared sensor (non-contact pyrometer). The Smartflow 2020 selective soldering system requires less than 3 m² of space, thus fitting optimally into cell production environments. 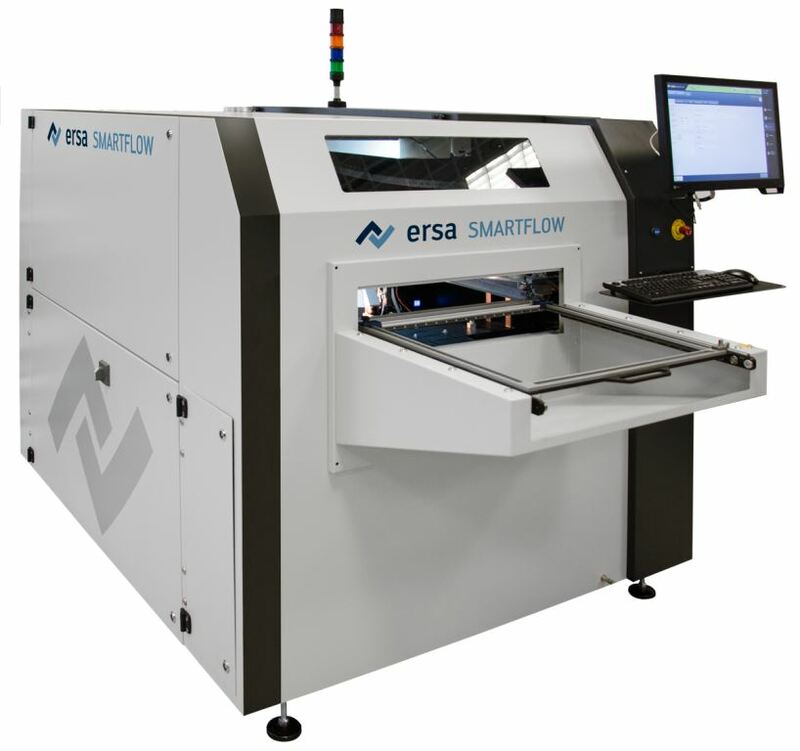 In all process steps the automatic Smartflow system uses the same successful and proven Ersa Selective Soldering Technology as the large Ersa VERSAFLOW systems without compromising quality and accuracy. With the Smartflow, ERSA finally closes the gap from its high end Versaflow platform to an entry level machine. Due to its universal pallet fastening, the Smartflow can handle PCB sizes of up to 508 x 508 mm [20″ x 20″]. For more information about Kurtz Ersa North America, visit www.murraypercival.com/category/138/ersa. This article was originally posted by Ersa Kurtz North America Inc.
‹ The Long and Short of it….